Have you ever looked up at a thrill ride and thought, “No way”? 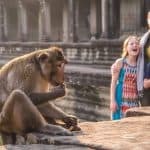 Your kids or husband, however, grabbed you by the arm and gave a little push of confidence that you needed to lock yourself into the seat, hold your breath, and then scream the whole way through, and you loved every second of it. For me, it was the other way around. My daughter had wanted to ride a roller coaster so badly that we drove to Florida to ride it. Once we were in line, I noticed tears starting to well up in her eyes from panic and fear. After a few minutes of singing silly songs and talking her through the queue, she plucked up the courage to ride. Not surprisingly, she loved every second of it. Her first word after the ride was over? “Again!” It doesn’t take much to create an adrenaline junkie and all-around thrill ride lover. 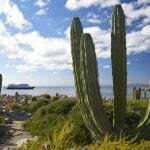 Thrill rides are the reason that families travel all over the country (and world!) every year to get that feeling of butterflies in their stomach, the notorious dry mouth sensation, and the chance to really test out their vocal cords and lungs with screams of delight. 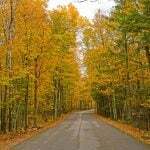 Each ride lasts but a moment, but make for a lifetime of happy memories. 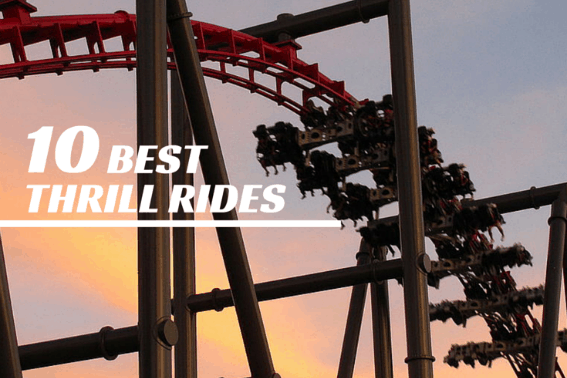 We, at Trekaroo, can’t get enough of them and have compiled a list of the top 10 thrill rides that make us laugh, scream, and gasp with sheer delight. 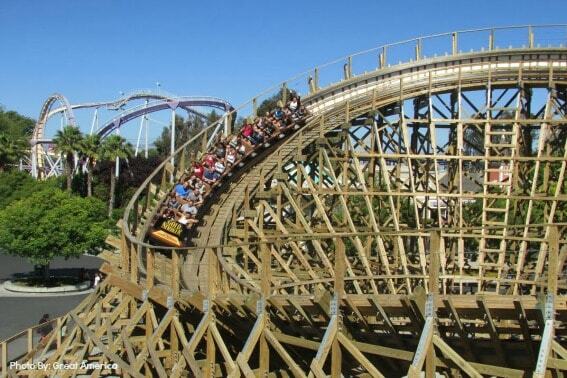 Gold Striker is the tallest and fastest wooden roller coaster in California. 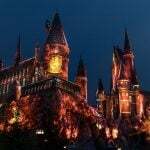 Opening in June of 2013, California’s Great America built the coaster at over 108 feet tall with a top speed of nearly 54 miles per hour. 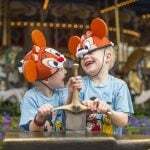 Squeal with delight at its 103-foot first drop and its two minutes and thirty seconds of wooden-coaster, old school fun. Love being quickly lifted 23 stories in the air and then dropped just as quickly? Head to Six Flags St. Louis and take a plummet on Superman Tower of Power. 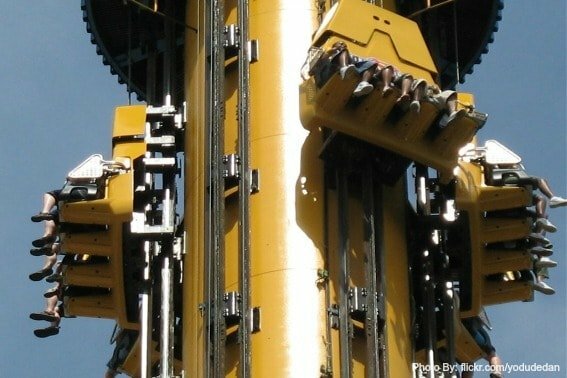 The ride stands at 230 feet tall (the tallest point in the park!) and drops thrill seekers at a speed of around 60 mph before the brakes kick in, giving them a fab view of the park and Downtown St. Louis. I don’t even know if Superman could handle the intensity of this one. How about 0-82 mph in 2.3 seconds? Talk about an acceleration! 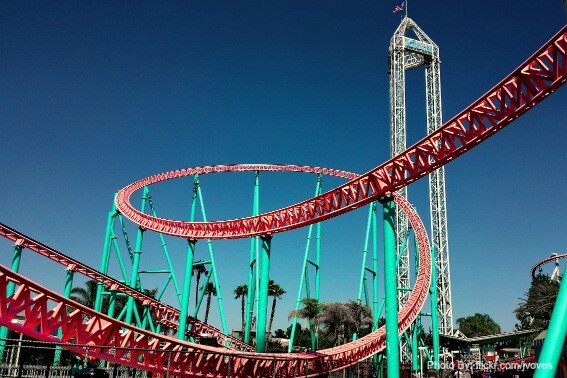 Xcelerator at Knott’s Berry Farm is 62 seconds of high-thrill, fast-paced, ‘57 Chevy fun. With 2,202 feet of coral-colored track and a 1950’s greaser theme, all the cool cats and hep chicks will be having the time of their lives in brightly-colored hot rods. There’s a monster of a coaster at SeaWorld Orlando called Kraken! 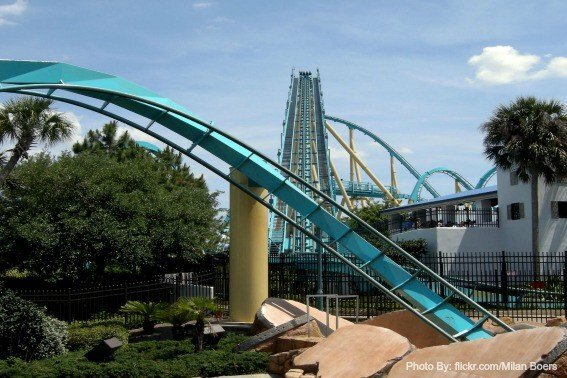 Named after the giant and terrifying sea creature that struck fear in sailors, Kraken features a zero gravity roll, seven inversions, and two loops, and since it opened in the year 2000, the ride draws thousands to the park every season willing to test their bravery. The 4,177 foot-long track tops out at 149 feet in height and 65 MPH. The theme is right on with SeaWorld’s oceanic style! 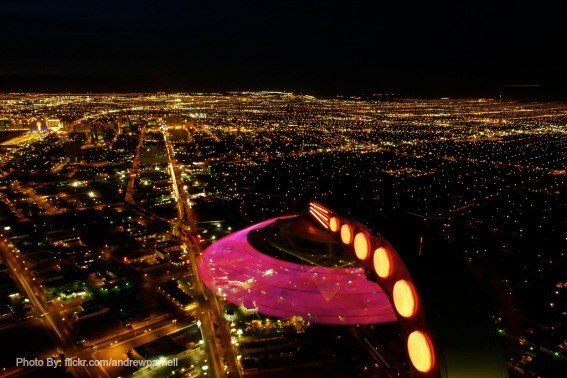 If you can keep your eyes open long enough to see the lights of Las Vegas from 900 feet in the air, Insanity is the ride for adrenaline junkies in Sin City! The ride’s giant mechanical arm extends out over the edge of the Stratosphere Hotel and Casino and spins at up to three G’s and then tilts passengers to a 70-degree angle looking straight down. Night time is the best time to ride Insanity for the breathtaking views and glimpses of the hustle and bustle of the city. Hershey Park isn’t just about chocolate; there are thrilling rides as well! 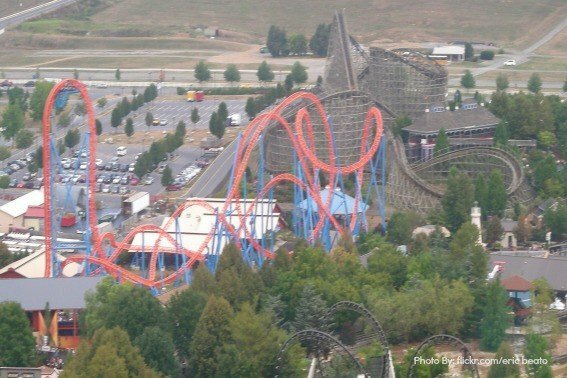 Fahrenheit is Hershey Park’s answer to steep drops and happily boasts the second steepest one in the United States. 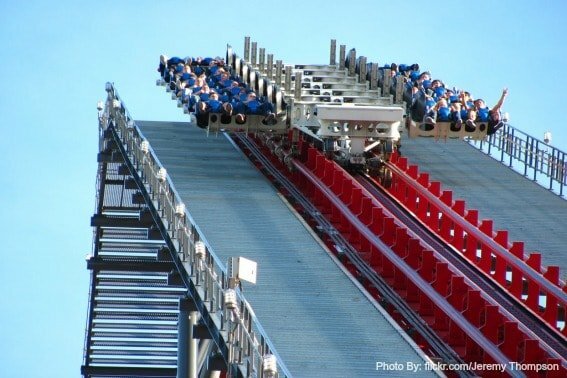 At a 97-degree angle, Fahrenheit has a 121-foot vertical lift up to the first drop. The “vertical lift inverted loop coaster” is a five on the aggression scale at the park- the highest level of thrill. Three minutes and twenty-eight seconds of heart-pounding, blood-racing thrill is Leviathan at Canada’s Wonderland just outside of Toronto. With a top out of 306 feet, the ride is the tallest in the park and the most thrilling. 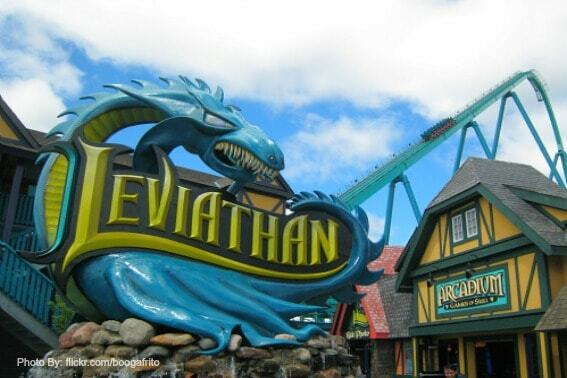 The first hill sends riders down 306 feet at an 80-degree angle and before travel 5,486 feet, Leviathan reaches a top speed of 92 MPH making it the tallest and fastest roller coaster in Canada! Just listen to The Incredible Hulk Roller Coaster to you’re in for a ride! Having my husband tell me that his eyeballs felt like they were being “sucked into the back of his head” was reason enough for me to stay on the ground! Located at Islands of Adventure, one of two parks in Universal Orlando Resort, the two minute and fifteen second ride is named after the popular comic book character and Dr. Banner’s alter ego. 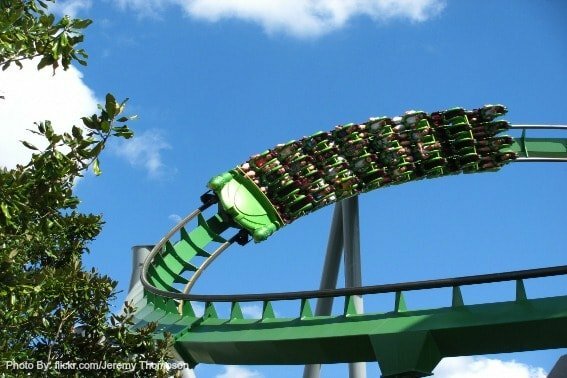 The Incredible Hulk goes from zero to 40 in two seconds and immediately takes riders through seven inversions with a zero G roll in there for extra fun. 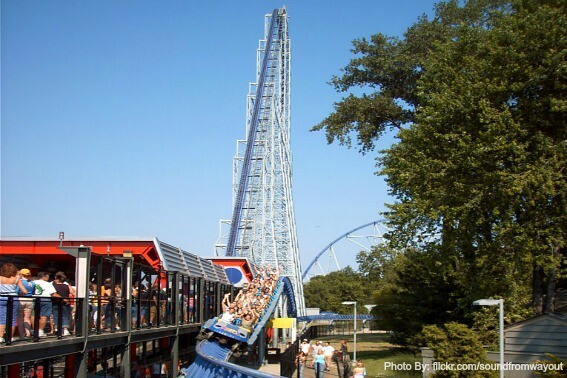 When Millenium Force at Cedar Point was completed in the year 2000, it broke six world records and was the first to use a cable lift system to take passengers 310 feet in the air. Also branded as the world’s first Giga Coaster, Millenium Force drops riders 300 feet with a top speed of 93 MPH. The coaster has won numerous awards and has been voted the number one steel coaster in Amusement Today’s famous Golden Ticket Awards. Ever heard of a 4th dimension roller coaster? X2 at Six Flags Magic Mountain boasts being the first and uses sound, light shows, and intense music to take riders to another level of thrill as it starts at 200 feet in the air and flies through loops, flips, and dives, and even incorporates the elusive “raven turn”- half loops that stop in the middle and switch to straight drops. Straight tracks are a thing of the past as X2 whirls riders 360 degrees at 76 MPH using four tracks at once to take riders on the ride of their lives.